What the HELL is this?! 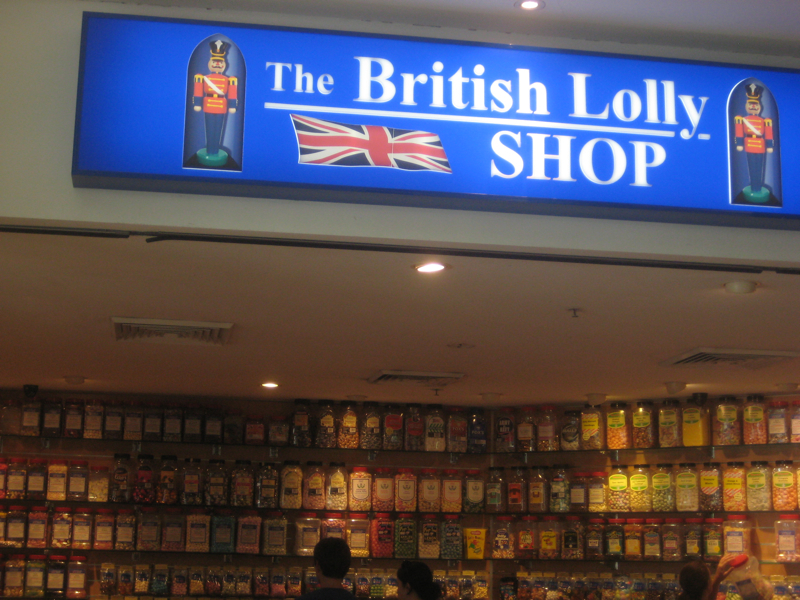 British ‘LOLLY’ shop – how dare they? They are not ‘lollies’ – they are SWEETS – IT’S A SWEET SHOP, NOT A BLOODY LOLLY SHOP. Lollies come on sticks – how hard is that? This entry was posted in Culture and Language. Bookmark the permalink. Had exactly the same thoughts too, it’s a bloody sweet shop none of this chips knickers and pants either..it’s crisps! There are a few ‘British Shops’ in Sydney, I use http://www.gawblimey.com for my food fix, bonus with these guys is that the bloke that owns it is called James Cooke (oh how I laughed) and they provide newsfeed direct from London.